Within the near eye, draw a circle within a circle. Draw two ovals within the inner circle, and shade between the circle and the ovals. Repeat this process for the far eye, using half circles. Draw two curved lines, one extending from the top and one from the bottom of the circle. 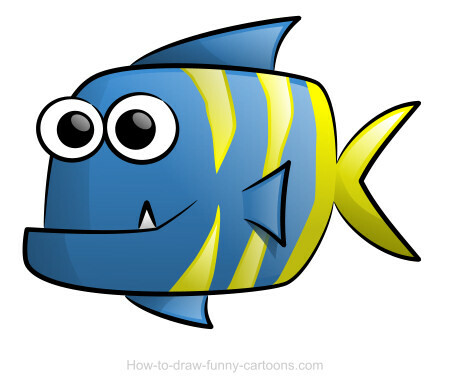 Would you like to be able to draw your very own cartoon fish? Now you can, by following this easy, step-by-step drawing tutorial. All you will need is a pencil and a piece of paper. You may also want to use an eraser to correct any mistakes, as well as crayons, markers, or colored pencils to shade your finished drawing. Extend a wavy line upwards from the tail, and another downwards from the tail. Connect these lines using another wavy line to form the tail fin. 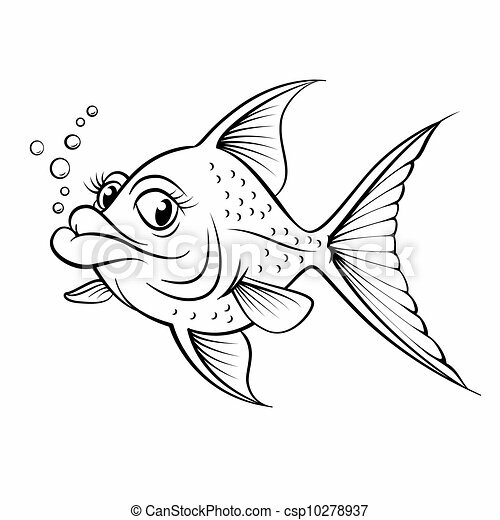 Draw two parallel, curved lines to connect the upper portion of the mouth to the tongue. Draw a series of connected, curved lines from the top of the circle to the bottom of the circle. Draw a short curved line to connect the lines on the right of the image, forming an enclosed shape. 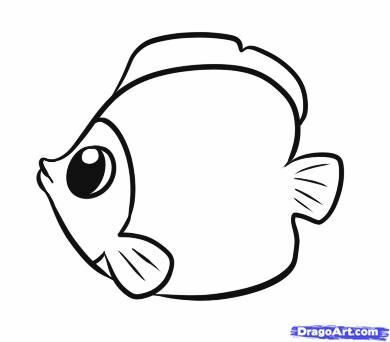 Fish live in water, so draw some! 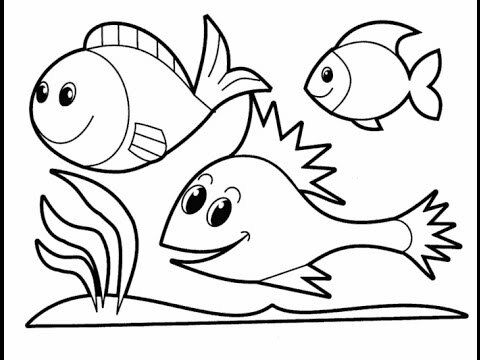 Draw several wavy lines beneath the fish to show the movement of the water as he swims. 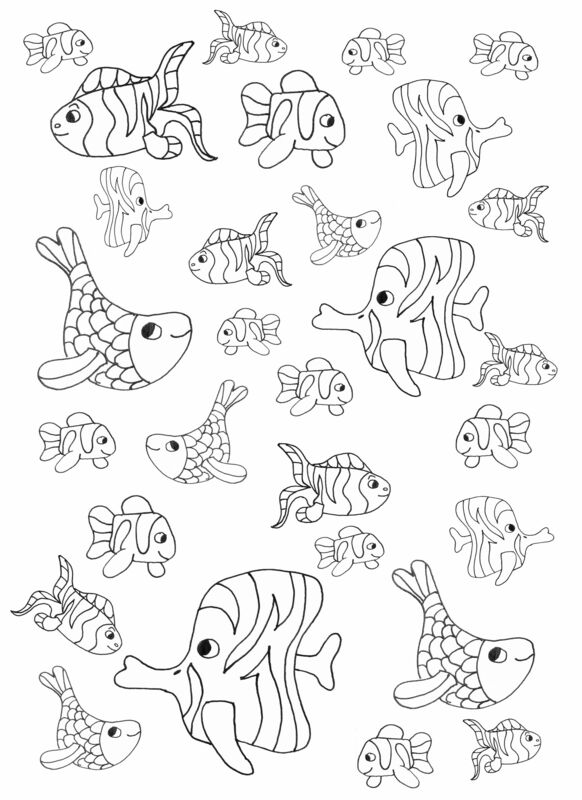 Draw a number of scalloped, wavy lines from the top of the figure to the bottom, detailing the fish’s scales. Draw a curved line from the exterior of the circle to the middle. Draw a short, curved line at the end of the previous line. Draw a smaller, irregular heart shape extending from the area of the scales. 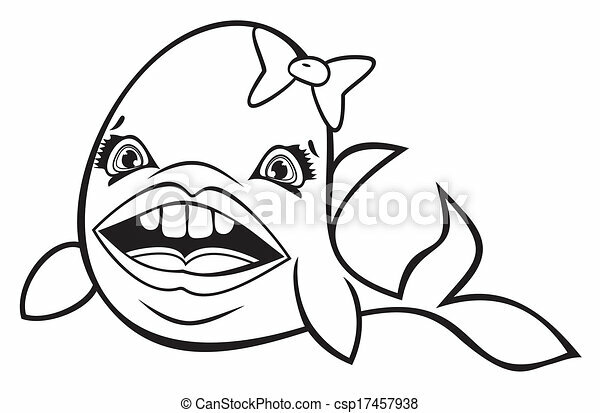 This forms a second fin. Draw two curved lines above the mouth, connected in a point on each end, to form the eyebrow. Draw another eyebrow, half visible, extending from the side of the face. 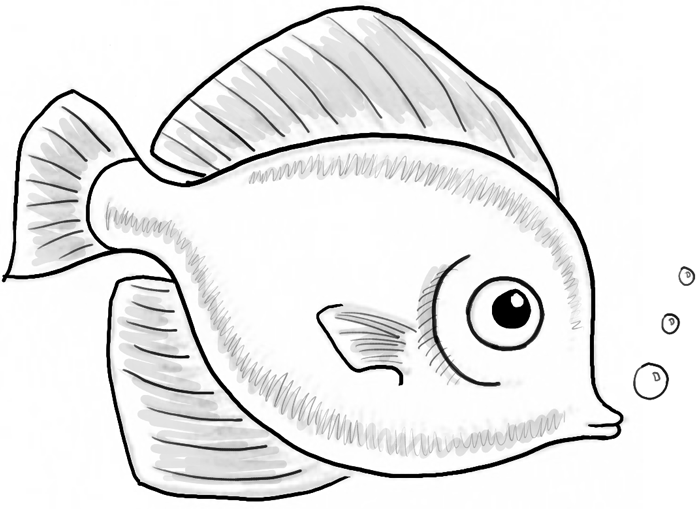 Are you ready to draw your fish? 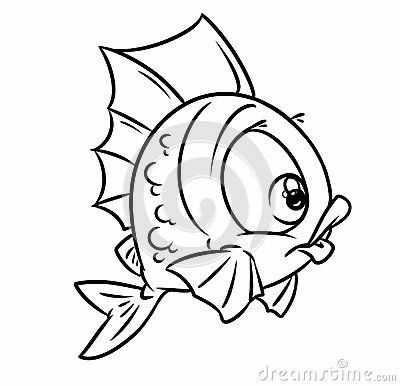 Remember, just keep swimming! 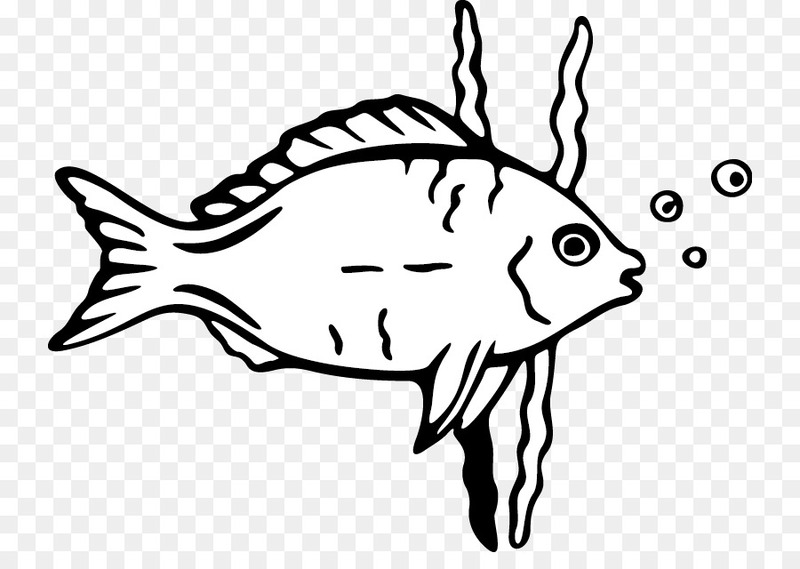 Scientists have identified over 33,000 different kinds of fish. 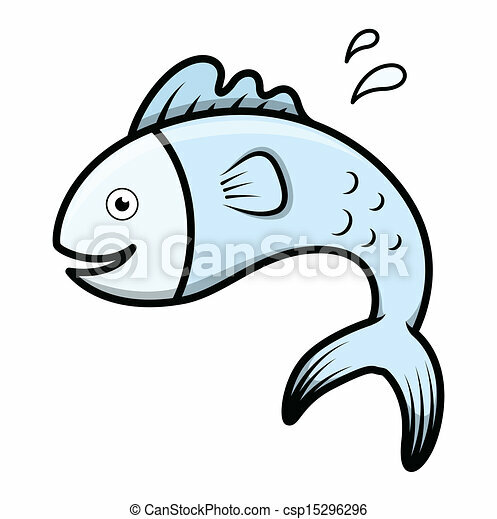 It is no wonder, then, that fish of all kinds have long been the subject of cartoons and other art forms. 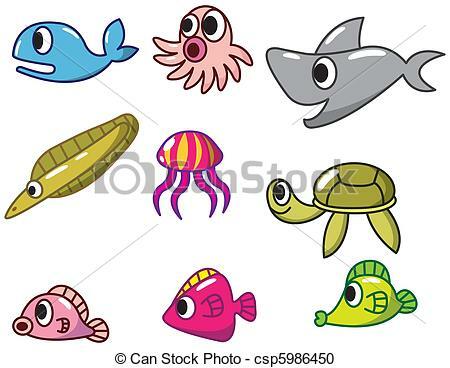 From Disney’s hit movie Finding Nemo (2003), to classic children’s books such as Marcus Pfister’s The Rainbow Fish, aquatic characters have entered our hearts as well as mainstream popular culture. 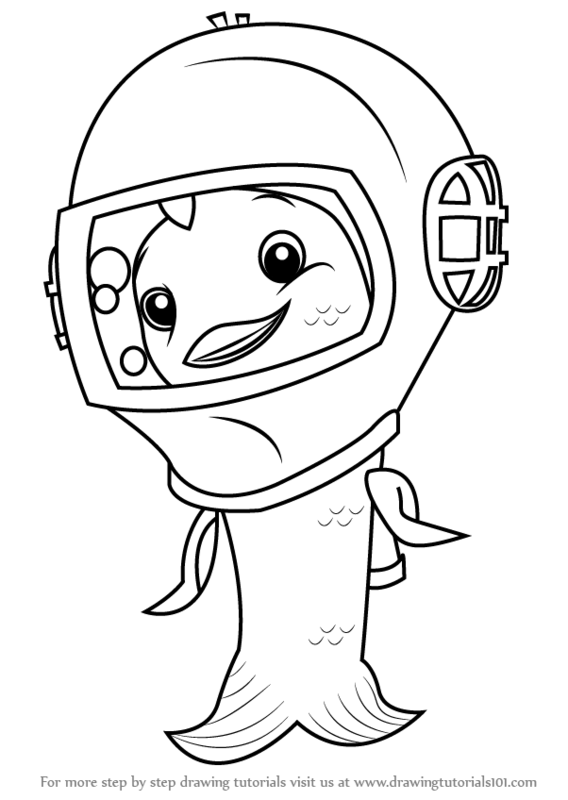 If you liked this tutorial, see also the following drawing guides: Dory, Nemo, and Whale. Draw a sideways heart shape extending from just below the mouth. This will form the pectoral fin. 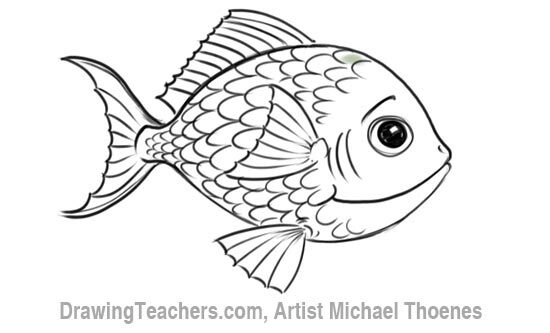 Use two curved lines, connected at a blunt point, to draw the dorsal fin on the fish’s back. 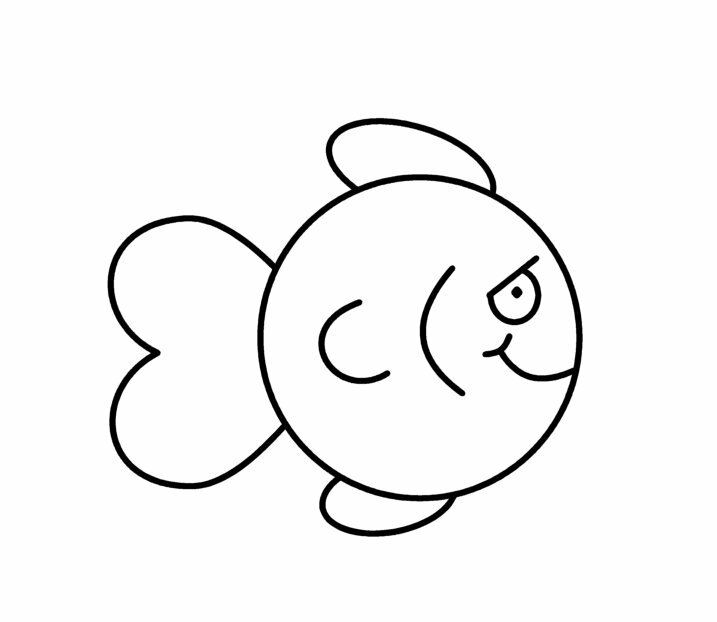 Using a curved line, draw the far pectoral fin, partially visible below the mouth. 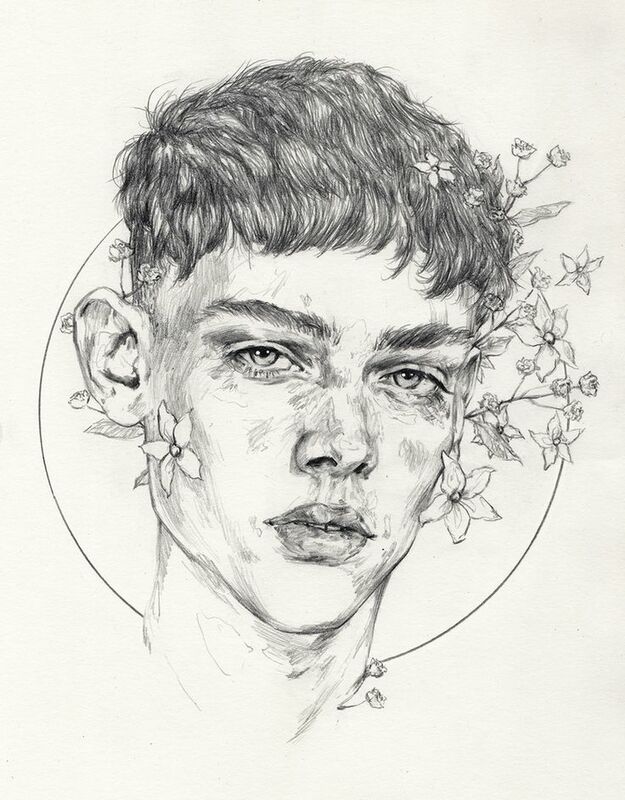 Each step in this drawing guide is accompanied by a detailed illustration. For each picture, new lines added in the current step are highlighted in blue. Lines from previous steps are shown in black. 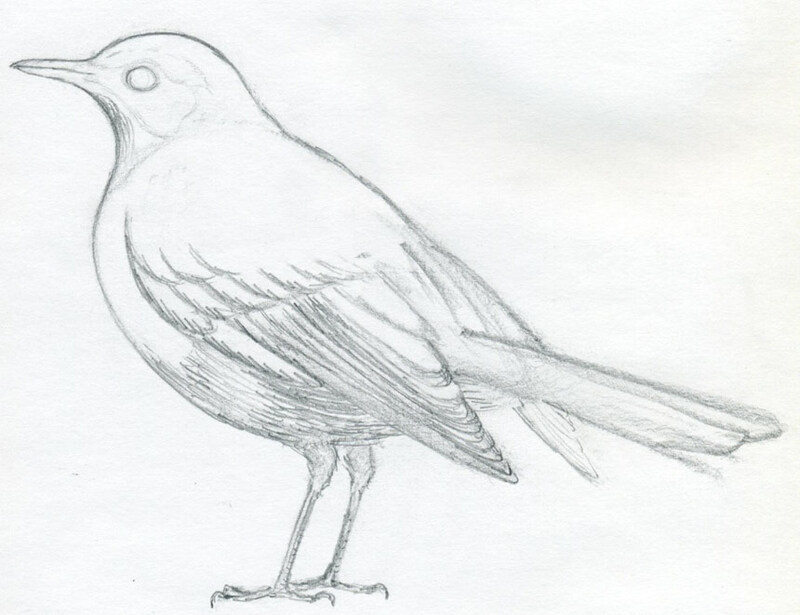 You may want to sketch your lines lightly at first, as you will erase some of the early lines, called guide lines, in order to complete the drawing. Color your finished drawing. 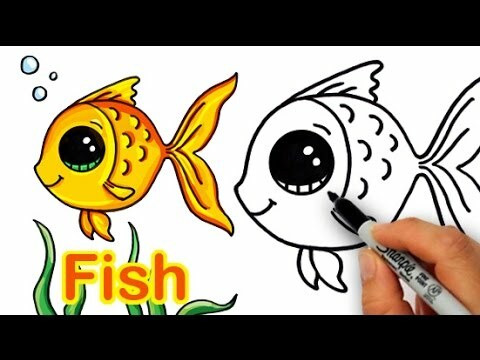 Fish come in every color of the rainbow – you may color your fish yellow and orange as in our illustration, or you can get creative and use your imagination. Draw a large circle to form the near eye, and a half circle extending from the side of the face to form the far eye. Extend a long curved line from the short line to the exterior of the circle. Draw another curved line from the bottom of the circle to meet the previous line in a sharp point. Draw a curved line across the nose to give depth. Add detail to the fins and tail. 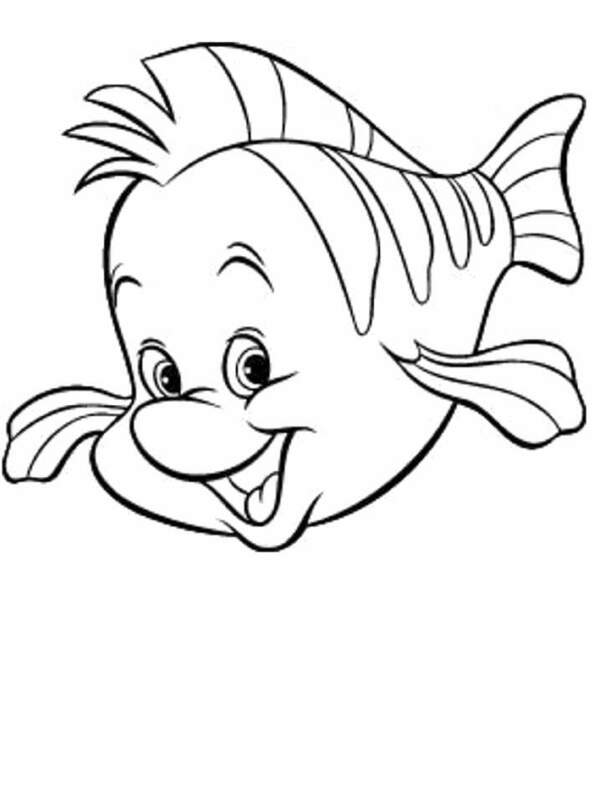 For each fin, extend one or two wavy lines from the base of the fin nearly to the tip.